Tidying up your empty nest can be just the spark of you need to ignite the next phase of your life. You’ve been back from college drop-off for a few weeks, or even a few months, and while the house seems quiet and too empty, it also seems as if it’s filled with the ghosts of your children and the life you once shared. Every corner of your house seems filled with their possessions. There’s your kid’s hockey gear in the foyer. Your pantry is filled with snack foods. And the upstairs bath still has all the makeup and bath products your daughter left behind when she flew the nest. Did that previous paragraph make you sad? I got a little weepy writing it. But there’s good news! Now is a great time to turn your newly empty nest into a home that reflects who you are now – and who you want to become. I recently discovered a book: The Life-Changing Magic of Tidying Up: The Japanese Art of Decluttering and Organizing by Marie Kondo. It’s been a bit of a sensation for the past year or so. It’s a New York Times best-seller and I’ve read countless other blog articles about it. Could a Book about Organizing Really Change Your Life? 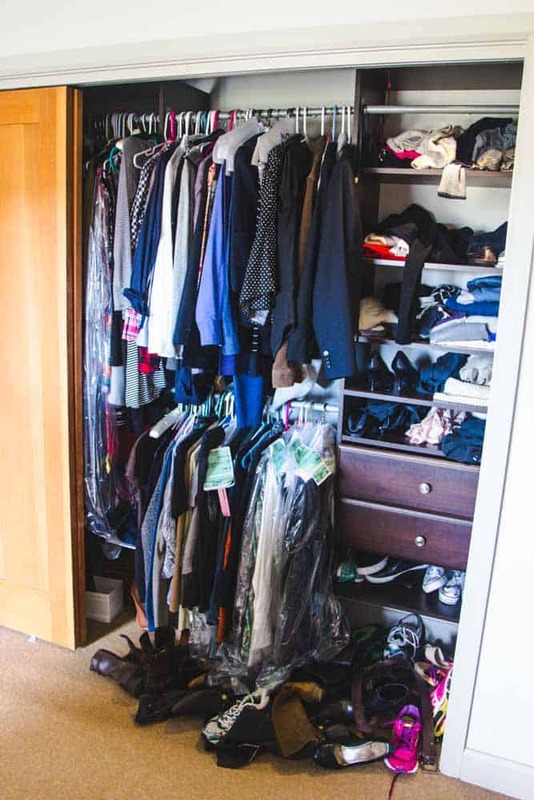 Marie Kondo promises that if you follow her system you will never revert to clutter again and, as an added bonus, you can attract dramatic changes in my life such losing ten pounds, attracting new business, and gaining new love. I’m not being flippant or sarcastic. I completely believe her and here’s why. 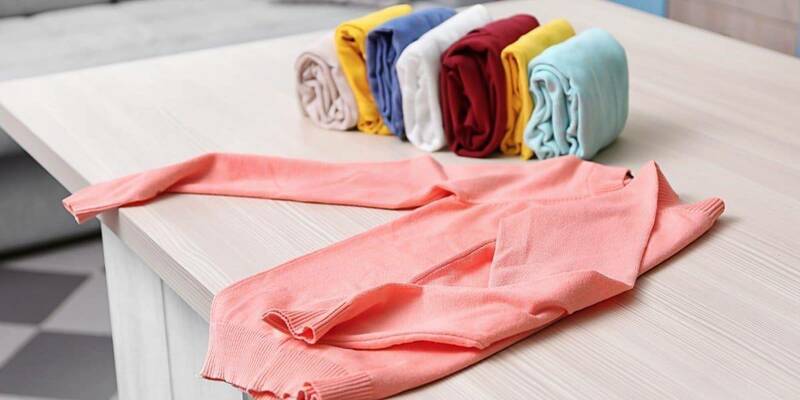 The KonMari method consists of going through every item you own (in a strictly defined order), holding each item in your hand and asking yourself, “Does this spark joy for me?” If the answer is yes, then keep the item and store it beautifully. If the answer is no, thank the item for its service and give it away. Sounds a bit new-agey, right? But at the end of the process, you’ve learned more about who you really are: what you like, what you don’t like, what you’ve been keeping around because you “should,” and what used to make you happy but now no longer serves your need. That’s the perfect activity for a new empty nester! As moms, we so frequently must put our kids’ needs ahead of our own that we can find ourselves facing the empty nest having lost our sense of who we really are and what truly makes us happy. Looking at everything you own and deciding whether it sparks joy helps you get in touch with your true self once again. You’re also practicing the art of realizing that your life has changed over the years and that an item that once served you beautifully no longer fits into your life. When that happens, you let it go thankfully and gracefully. What a great way to prepare for the next phase of your life without children at home! Focus on one category at a time, not one room or area at a time. The best sequence is clothes, books, papers, miscellany and finally, mementos. Make Tidying a special event, not a daily chore. If you a do a little a day, you’ll never finish. Although she doesn’t say you can organize your whole home in one big job; she estimates it will take about six months to do it right. The KonMari Journey Starts Now! I’ll admit that this is something I need to practice, so I’m embarking on a huge tidying project of my own home. I’ll share my journey with you as I go and I hope you’ll follow along as well. As a sign of my commitment to this project, here’s something truly horrifying: the current state of my closet. I think you’ll agree that this isn’t something that sparks joy every morning when I get dressed. Wish me luck on my journey! 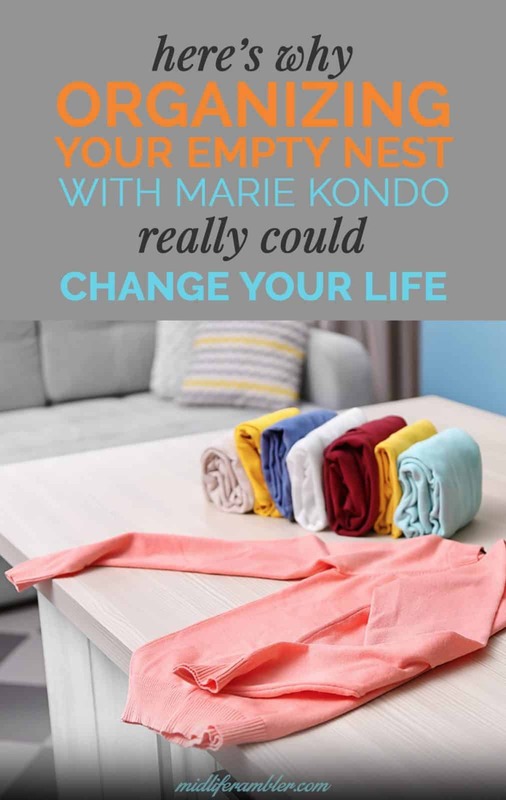 Interested in my progress and finding more tips on how to use the KonMari method to organize your empty nest? Check out these posts! Next Post How Much Should You Share About Your Difficult Relationship with Your Teen?